I love Snoopy to bits so when Born Pretty contacted me last month asking me to review some of their nail art products I immediately said yes I have been really slack at doing any nail art the last few months so I was really excited to try their Nail Art Water Decals they sent me eleven different designs but my favs were definitely Snoopy and The Smurfs, The decals were really easy too apply just like the temporary tattoos I used to get when I was a kid, I decided to do holo snoopy nails and applied the decals over Make Up Store Greta I really love this mani and don't know if I ever want to remove snoopy he is so cute! To get 5% off your next order from Born Pretty please use discount code GL5J61 at checkout. 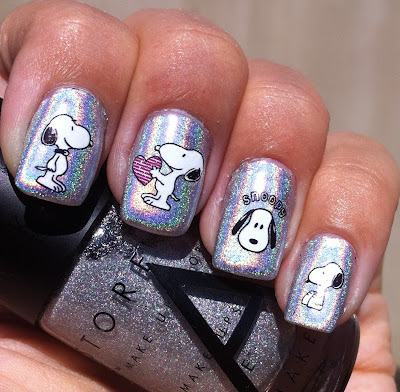 This is one of the cutest manis I have seen in a long time! It's just too beautiful! aww these are super adorable! 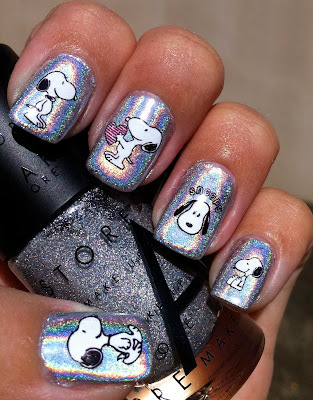 love that your chose to do a holo! 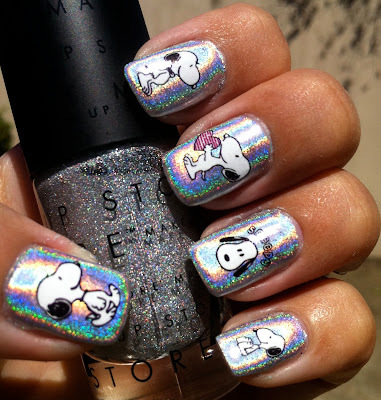 I never would have thought of pairing up the snoopy decals with a holo polish. The combination really looks great! 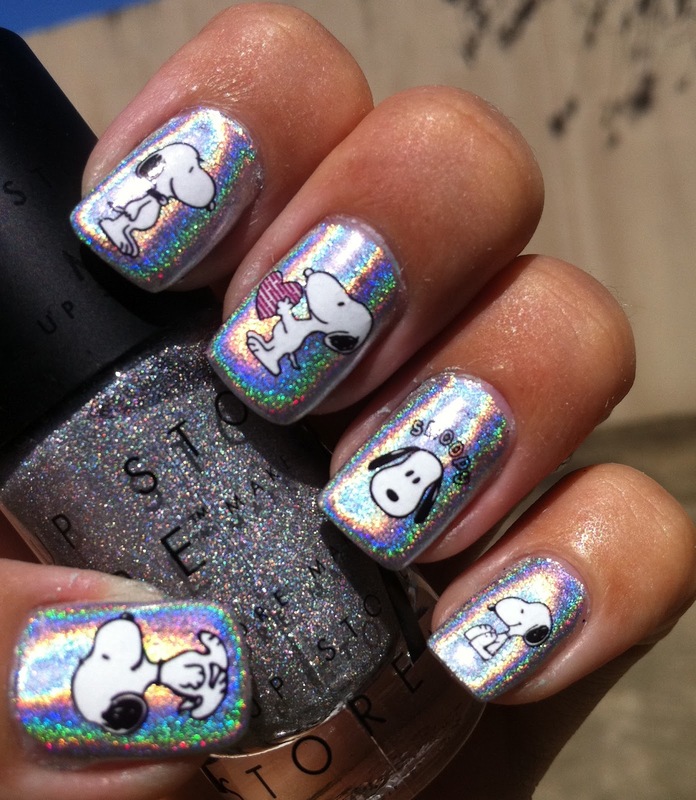 I was completely obsessed with Snoopy when I was a little girl. 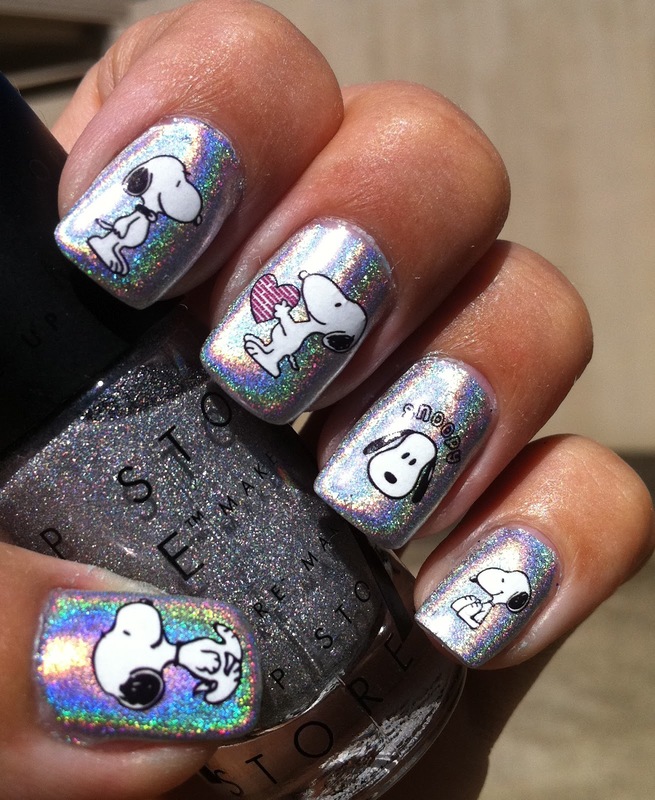 To this day, when I see Snoopy I think about my childhood and it makes me happy! Then you layer with a holo?! I love it!!!! !